With this product, you earn 39 loyalty point(s). 39 point(s) = $ 2.34. 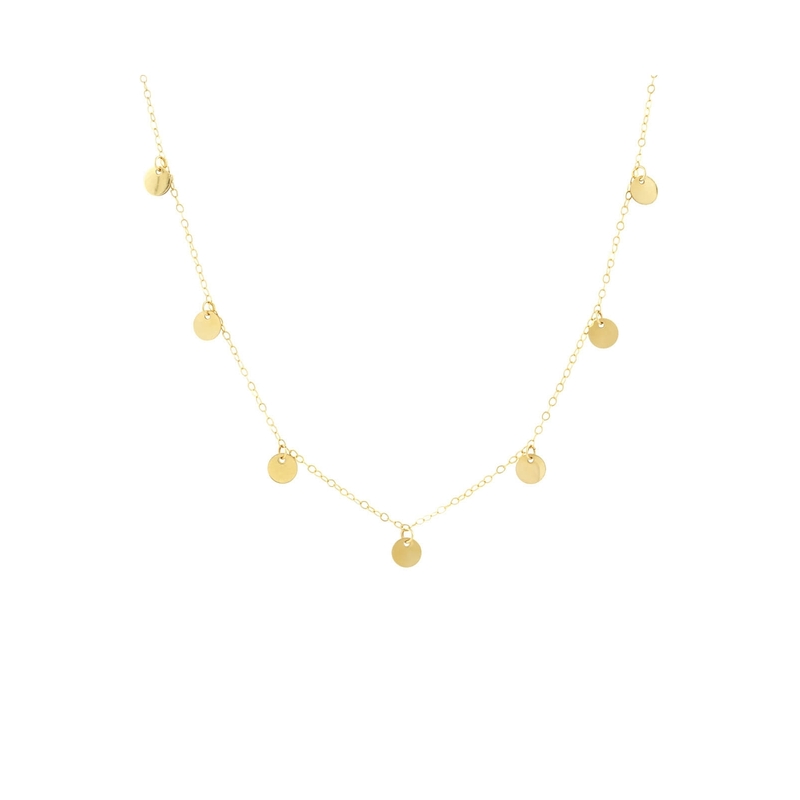 Dainty 14K gold filled necklace featuring 7 gold discs accents. Perfect for layering as well as wearing alone. Also available in 925 sterling silver. Gift box included. Ready for gifting.